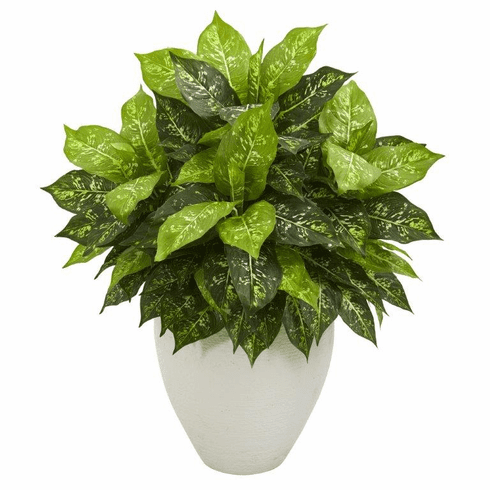 With it's leaves that come in various shades of green, the dieffenbachia artificial plant's variegated foliage paints a stunning presentation. Paired with it's pure white oval vase, it'll both brighten and open up a secluded dining room. You can also place it at the end of your kitchen bar for some added greenery. Size: Height: 28 In., Width: 24 In., Depth: 24 In.